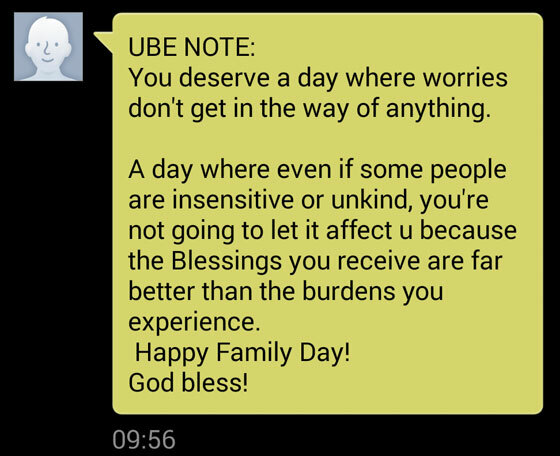 Today’s Healthy Habit is inspired from the Ube Note (from Mr. Ube) that I got this morning. 1. (Yesterday) Blessed to take part in Mommy Bloggers Philippines Halloween Party where the kids and I had loads of fun. 2. Blessed to be able to clean the bedroom and the bathroom today. It actually makes me happy to see the sink sparkling clean. OC! Lol! 3. Blessed to be able to spend quality time with the boys today, although I’m raring for a break already! 4. Blessed that DS now knows how to point to his eyes, nose, mouth, and ears accordingly when you ask him (well, depending on his mood…).